A physical examination helps your doctor to determine the general status of your health. The exam also gives you a chance to discuss any ongoing health concerns that you might have. Influenza or flu vaccines are safe and effective ways to stay healthy and prevent illness. Immunizations protect aginst several serious, life-threatening infectious diseases. for people infected with STD helps them comply with treatment and understand their choices. We offer birth control, pregnancy testing and counselling. Early detection of breast cancer reduce mortality up to 30%. if you are over 40 or have a familial history consult your doctor. Walk in to our Clinic for a driver's physical. 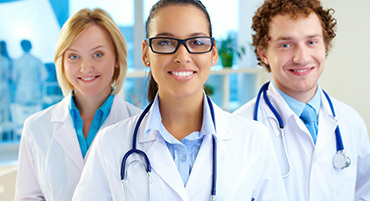 Many professional drivers are required to get physicals on a regular basis. A child's health during the first years of life, will have long lasting benefits. By helping to reduce injury, disease, and illiness risks. Measure the amount of minerals "namely calcium" in your bones. This test is important for people who are at risk for osteoporosis, especially women and older adults. Consult your doctor. High quality, accessible ultrasound services to patients. Same day consultation requires a telephone call to Paediatrician on service, and a hard copy referral note.